Skincare routine for sensitive, dry and spot-prone skin, that also enjoys wearing war paint! - Amphora Aromatics Ltd – Supplier of pure essential oils and aromatherapy Products. Here are some of the products I’ve really grown to love, which are now a permanent fixture in my daily routine since working for AA Skincare. those of you who find it overwhelming when trying to get an effective skincare routine together. Removes even liquid lipstick, this oil cleanser is fantastic for removing all traces of makeup. I just wet my face, gently massage into my skin and then use a hot muslin cloth to wipe it all off. It is also great for Oily skin types as believe it or not oil cleanses oil. Perfect for when you’re having a break out, the tea tree helps dry up any spots and the lavender calms the skin down, and I like that the cleanser isn’t too stripping since I have dry skin, a little goes a long way with this one - which also means more for your money! Just apply to wet skin and rinse off with warm water, then splash some cold water on your face to close those pores! Toner always seemed like such an unnecessary step to me, but it’s well worth and truly worth investing a few extra seconds to your skin care routine. Rose water helps balance the skins pH levels and is a natural anti-inflammatory. This toner calms the skin down and the spray bottle helps save time as you don’t have to deal with the faff of pouring on to cotton balls and dabbing it everywhere. Also an absolute life saver when you’ve had a little too much fun the night before and wake up a puffy mess. 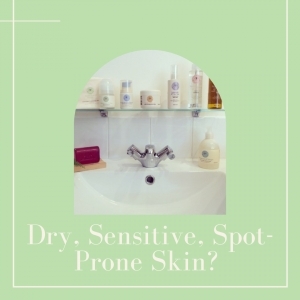 You should spray on freshly cleansed skin and wait until dry before applying moisturiser. 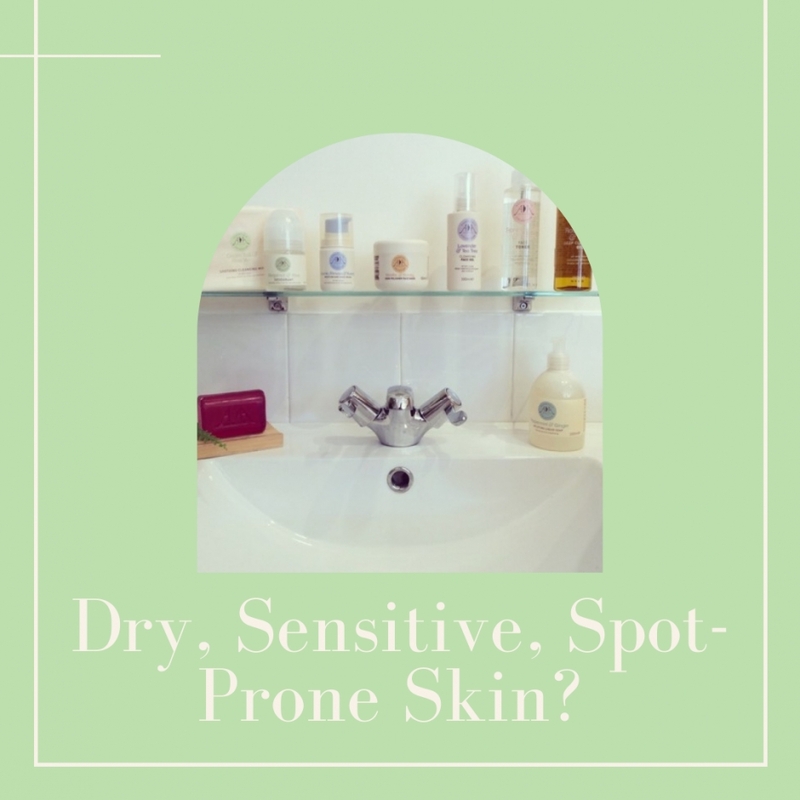 This is incredibly hydrating so major brownie points for dry skin, the rosehip in there is especially fantastic for it’s anti-aging properties and has loads of Vitamin C. Can use both day and night. Trying to find a hydrating face cream that doesn’t cause a breakout seemed kind of impossible, but touch wood this has worked really well for me so far. As I have dry skin, this is a perfect 2 in 1 scrub/mask. I exfoliate for around 30 seconds then just leave the mask on for 10 mins. The mask helps chill my face out from the scrubbing. And my face feels so so good afterwards! Just once a week will do the job just fine. Shockingly my arm pits are also on the sensitive side, the aloe is great when calming down a shaving rash and the bergamot helps fights the bacteria which causes you to smell in the first place, plus the citrus scent smells lovely and fresh. I apply just after I shower in the morning and it lasts throughout the day. I’ve always been told it’s a big no no to use cleansing wipes as a makeup remover. If you can you should take off your make up with a cleanser over the sink or in the shower. This is not always realistic if you you’re busy or just to darn tired! So if you’re going to use them make sure they’re as kind to your skin as you can. The wipes themselves are so incredibly gentle, and the green tea and aloe soothe your face so particularly great for sensitive and/or inflamed skin. And are fantastic to bring for festivals and camping. I also use for fixing winged eye liner mistakes, and the dreaded mascara sneeze. Dry face tends to mean dry hands, I find the range of liquid soaps don’t strip your hands as much as other brands. And lather up nicely so you don’t have to go back for seconds, the peppermint and ginger is my current fave just for the fact the scent puts me in a really good mood. Let me know if any of this helps, and what you'd like us to write about next by commenting below.